Etsy restarted a service called "Alchemy" a few months ago and on it I found someone requesting a 6 foot square wall quilt with a "protective eye". 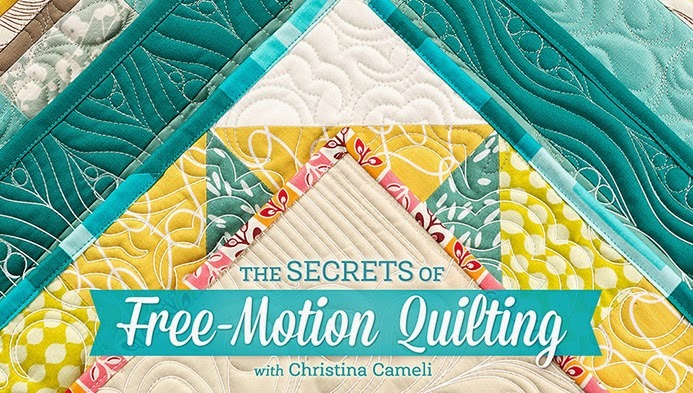 I liked the idea of the quilt and I liked the idea of getting paid for my hobby! So I put a bid in and was accepted. I felt very very special for about five minutes until I figured out that a dozen other bids had also been accepted. Who has enough money to pay for thirteen versions of the same quilt? We'll discuss that later. I had never made a quilt for money before. I started with a sketch based on what the client's stated vision was. The idea was, a random patchwork background of similar but slightly different blues with the eye suspended roughly in the middle. 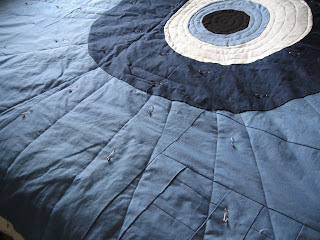 Quilting in the eye would be spiral, quilting from the eye would radiate out. The quilt came together really easily. My machine died in the middle of the quilting, as you can see I'm less than halfway through the rays and I still have to finish the spiral quilting on the dark blue. The person who requested the quilt pretty much ignores my emails. 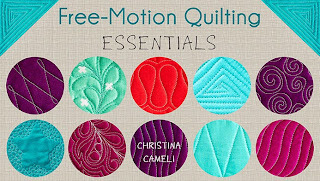 I can only imagine they get lost in a sea of similar emails from 12 other quilters. I guess he's not chomping at the bit and cursing my name. I have to say I don't think I'll be doing a commissioned quilt again for a long time. 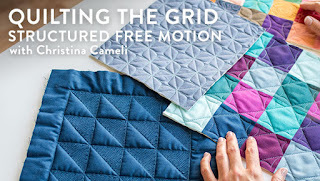 It really changed my creative process, having to work within someone else's parameters, and also within the parameters that I set in my own description of my vision for the quilt. 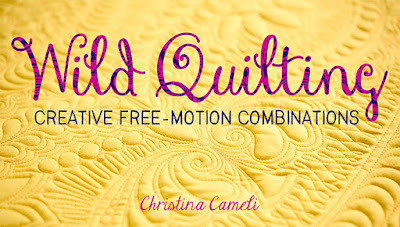 It made me feel weird that my quilt would be one of so many others. I ended up feeling like I should be working on the paid quilt instead of other things. So my other quilts and my Etsy shop have stalled while this project has been in my house. I feel stagnant. Lest I sound like I am only complaining: I was prepaid for the quilt, so at least I have the money to fix the sewing machine! I'm almost done and looking forward to the sense of freedom that will come with shipping this quilt off to it's owner. The quilt looks good - and at least you were prepaid for it!! 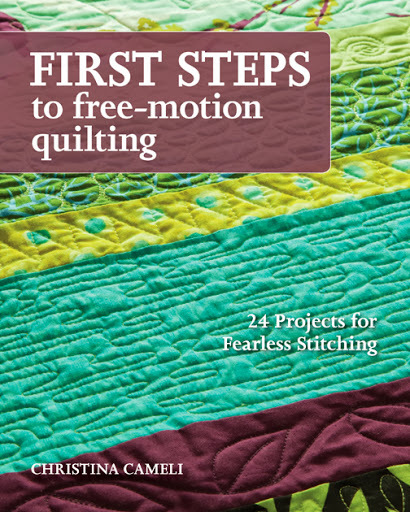 hmm, would be interesting to see all thirteen of the quilts hung together. 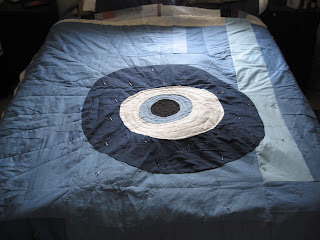 I'd feel paralyzed doing a commission quilt myself, and even worse with the sewing machine not working. good luck. you have spread words of wisdom...I think that's how I would feel making a quilt for some one so I just make what I want an offer some up for sale! we'll see if I can make back the costs of fabric...HA! Lucky gal. I'm sure the owner will be very happy with the quilt cause it looks good. Good luck in the future. Hope you get more customers like that. hope you can fix your machine problem soon. 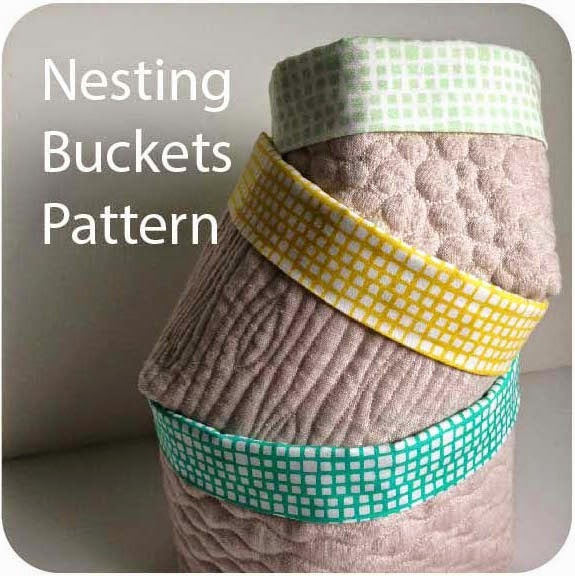 Try looking at it as a creative challenge and still make it your own quilt just within someone else's restrictions. 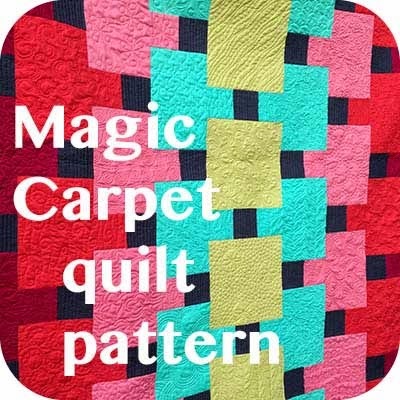 It is a beautiful quilt and it would be interesting to see all the different versions of this one idea.